Oskar Blues is one of the nation’s largest craft brewers with popular products like Dale’s Pale Ale. Although the craft beer segment continues to grow, Oskar Blues had identified spirits as its next business opportunity. Agency Squid was brought in to create a tagline and concept campaign ideas. We ended up working with Oskar Blues on defining the white space, building the brand and brand assets from every consumer touch point, and creating a response loop enabling the brand to make changes on the fly to better suit their customers. 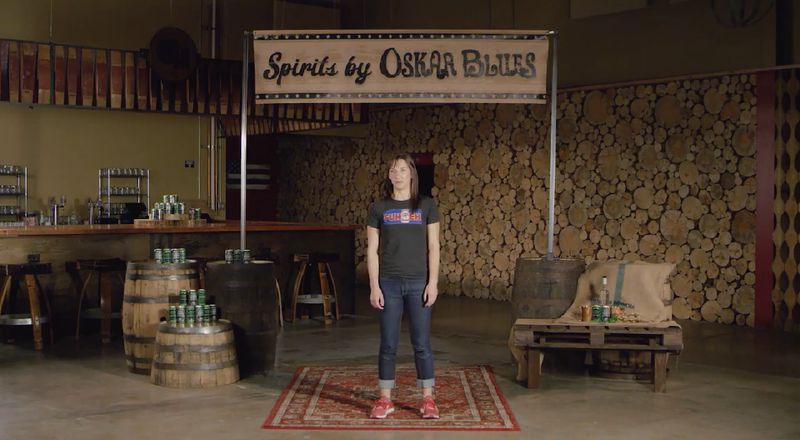 Oskar Blues needed a brand that continues its irreverent banter while communicating the products it carries. Their launch avor was a 7.3% ABV Moscow Mule made with real vodka and ginger beer. Moscow Mule is produced on site and sells at $12.99 a 4-pack. Although there’s a clear familiarity with the beer industry, Oskar Blues had no prior spirits experience. Communication on what the product was to distributors and consumers was a “must” for launch, separating itself from what the parent brand is known for yet seen as an extension of superior canned cocktails. We created Spirits by Oskar Blues, or SOB, to communicate the products produced and provide a cheeky abbreviation to be used in marketing materials along with branding/marketing elements to support it. Creative: Take “big beer” head on by taking a humorous spin to marketing terminology used to sell products in the category (e.g., Clean. Crisp. Refreshing.). Packaging: Separate the brand from Oskar Blues so consumers don’t associate it with beer and clearly communicate what’s in the cans.